Are you looking for a patriotic dessert idea that will make a big splash at your Memorial Day cookout or 4th of July party? 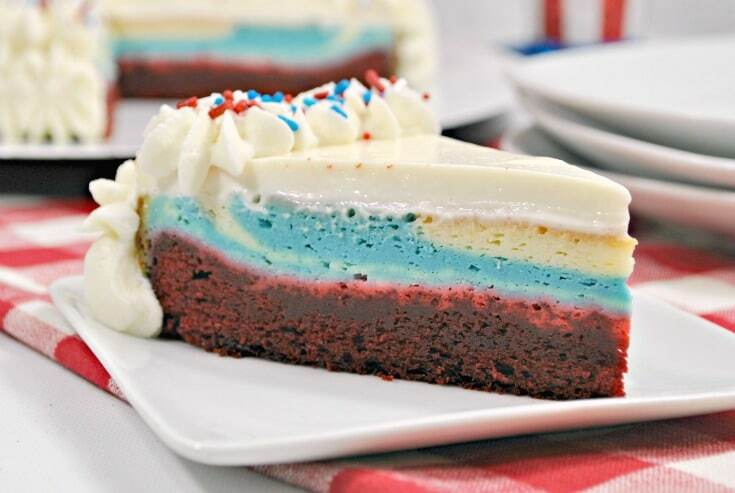 This red white and blue cheesecake is just what you’re looking for! Not only is it decadent and delicious, but this versatile recipe can be easily adjusted for any holiday or occasion by changing out the colors in the ingredients. I’ll fully admit to my nerdiness here by saying that, as a kid, I really didn’t enjoy summers that much. I missed school like crazy. I loved being in school, learning, and seeing my friends, and the summer seemed like an endless stretch of nothing to me. HOWEVER, the one bright spot in the summer calendar was the 4th of July. Even though our celebrations were simple with sparklers, tiny fireworks and a few other 4th of July traditions, it was one of my favorite holidays. We cooked out and had hot dogs and burgers. We ate watermelon and popsicles until we couldn’t hold any more. And that night, we’d have a bonfire to roast marshmallows and wieners. Some of our cousins would inevitably join in, so it was a lot of fun. I try to make it fun every year for my kiddo too, though in our own way. 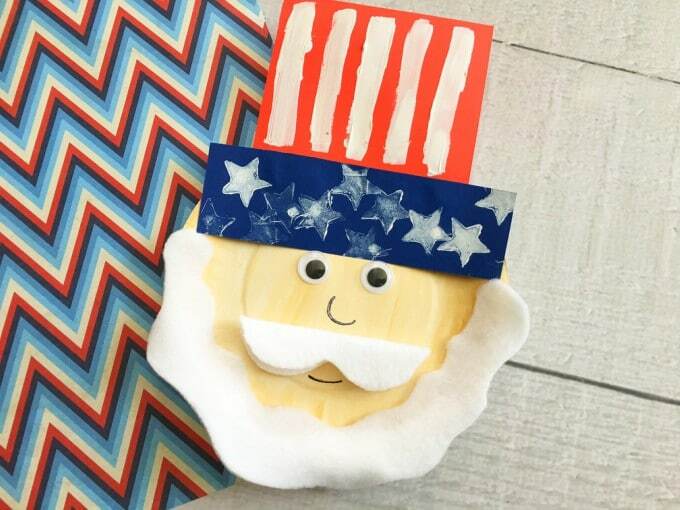 You can read about some of our 4th of July traditions here. 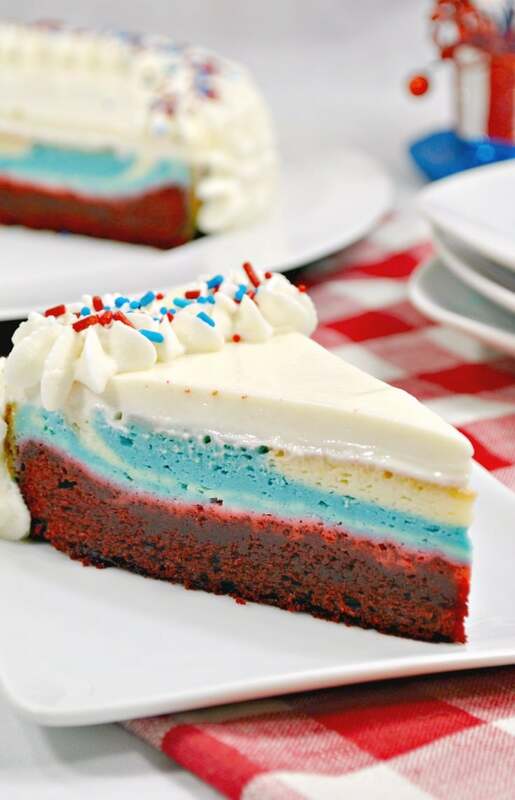 This year, we’ll be having this yummy red white and blue cheesecake as our patriotic dessert. 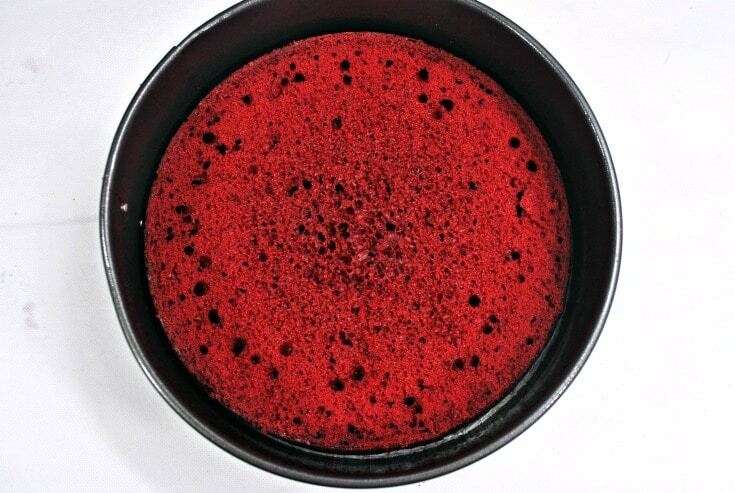 After baking the red velvet cake layer and allowing it to cool, you may need to cut off the top to even it out. If it’s uneven, you’ll end up with a lopsided cheesecake. And while it tastes all the same and most people wouldn’t mind, if you’re a perfectionist, it’ll make you crazy. Just saying. 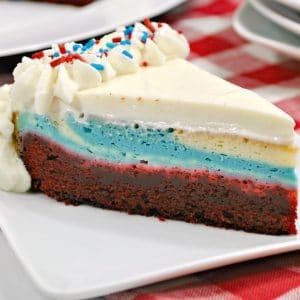 You can layer the blue and white cheesecake layers as in the picture below and just jiggle the pan until it’s evenly distributed, or, you can use a knife to swirl the colors together. 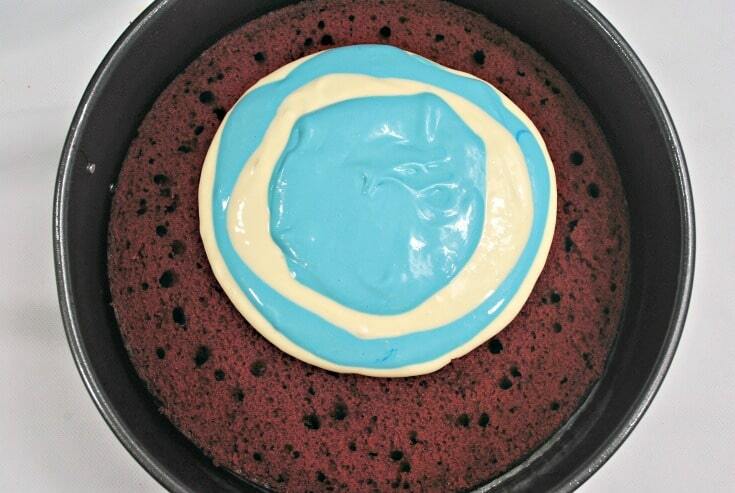 Since the top whipped layer is white, you can also just dye all of the cheesecake layer blue if you prefer. 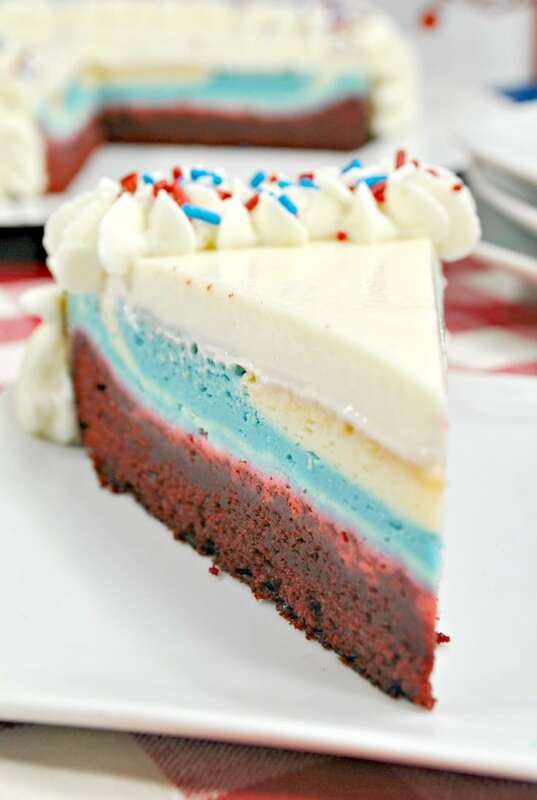 This deliciously decadent red white and blue cheesecake is the perfect patriotic dessert idea for Memorial Day or the 4th of July. Preheat oven to 350º. Oil and flour one springform 9" cake pan. Prepare red velvet cake batter according to box directions. Pour batter into the prepared cake pan. 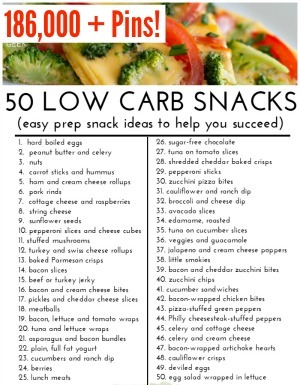 Bake for 30 to 32 minutes. Let cool slightly in cake pan. Beat cream cheese and sugar in a large bowl until fluffy and combined, about 3 minutes. Use a hand mixer or a stand mixer fitted with the paddle attachment. Add eggs, one a time, until combined. Add sour cream, flour, vanilla, and salt and beat until combined. Add the blue gel food coloring into one bowl and mix until color is combined. Pour filling onto cake pan and bake until only slightly jiggly in the center, 1 hour. 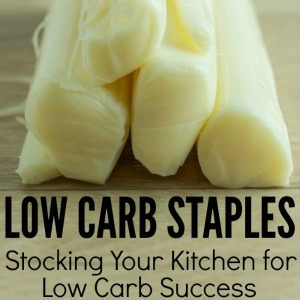 Let cool slightly, then transfer to the freezer to cool completely and firm up before assembling. Add all the ingredients to a standing mixing bowl. Using the whisk, whisk together the ingredients stiff peaks start to form. Spread the whipped cream over the top of the cheesecake.